The UK's top 10 folk acts aged between 16-21 convene in Kendal for a thrilling weekend of live music, workshops and performance. 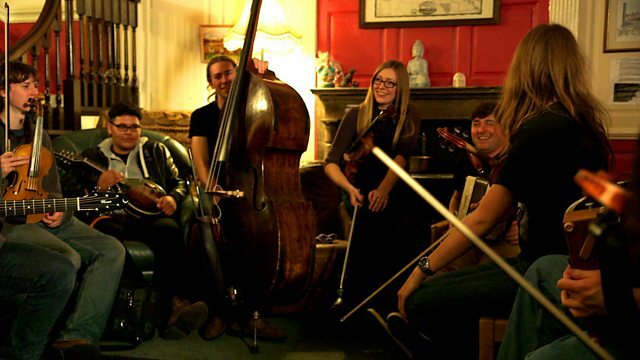 Radio 2's Young Folk Award Weekend brings together the top 10 folk acts in the UK aged between 16-21. The shortlist of young folk musicians were invited to participate in a programme of workshops and talks from Rachael McShane (Bellowhead), John Spiers (Bellowhead, Spiers & Boden), John Smith and Kelly Wood (Musicians Union). The weekend culminated in a public concert, presented by Mark Radcliffe, at the Brewery Arts Centre, Kendal, where each act took turns to perform a ten minute set to showcase their talent. The young acts performed in front of a panel of judges comprising of industry experts and professional musicians: Kellie While (Smooth Operations’ Head of Programmes), Steve Heap (Mrs Casey Music, Towersey Festival), Pete Lawrence (The Big Chill, Cooking Vinyl) John Spiers (Bellowhead, Spiers & Boden) and Rachael McShane (Bellowhead). Heard about a good story but missed it on the radio? We've collated the best interviews.